Click HERE for server, lector, and extraordinary minister of Holy Communion schedules. Music Ministry - Lead music at liturgies as a choir member, cantor, or musician. Click HERE for the Music Ministry Page. Extraordinary Minister of Holy Communion - Help with distribution of Communion during weekday Masses, Sunday Liturgies, Holy Days and to parishioners who are home-bound. You will be scheduled for particular days. Ministers must have attended the Diocesan Educational Training Program and be appointed by Bishop Foys. Appointments are for a term of four years. Contact Fr. Vogelpohl (dvogelpohl@bscky.org). Lector - Proclaim one of the readings at Sunday or weekday Mass. You will be scheduled for a particular Mass. Lectors must attend the Diocesan Educational Training Program. Appointment is for a term of four years. Contact Fr. Vogelpohl (dvogelpohl@bscky.org). Usher - Volunteer as an usher during weekend liturgies. You will be contacted regarding your Mass time preferences. Contact Gary Massie (356-9883). Servers – Server training begins at or after the end of grade 5. 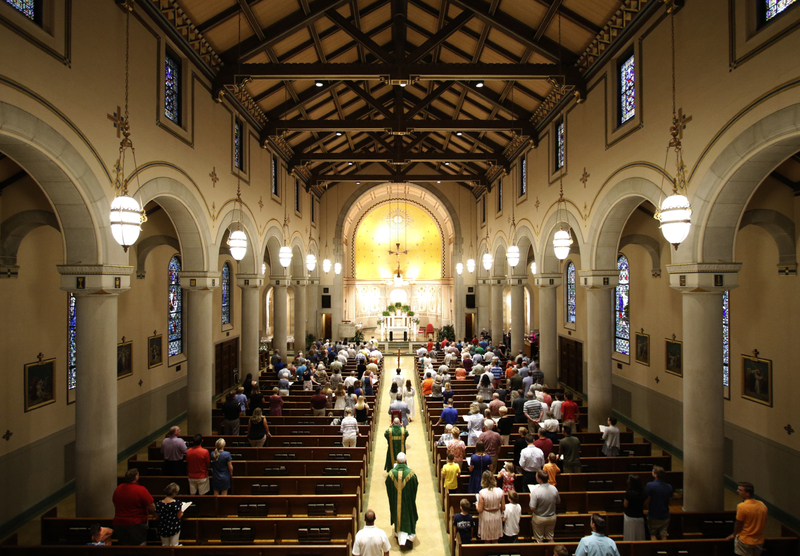 Servers may not opt out of serving weekday or early masses but will be rotated through all mass times. The schedule is posted online, and servers may try to switch with each other if necessary. Contact the Parish Office for more information. Liturgy Planning - Meet with the bereaved family soon after the death to help them plan the funeral liturgy. Contact: Bob Meihaus (331-1704). Host Receptions - Set-up, serve food, clean-up following a funeral reception. Receptions are held in the Undercroft or the Parish Center. Contact: Parish Office. Church Care – Altar Linens - Launder and press altar linens. Contact: Mary Vogelpohl (331-4302). Collection Counter - Join a team of counters to help count the offertory collection after Sunday Mass. Each team is scheduled once a month. Contact: Parish Office.